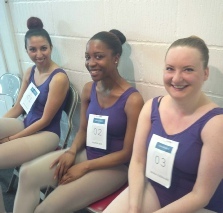 Are you thinking of doing ballet grades as an adult? This is an attractive course for adults who have taken ballet classes regularly in the past or are currently doing so. If you would like to get a certificate for all your ballet classes why not join our programme designed for adults. There is no age restriction and the syllabus is adult friendly. Classes run on Saturday mornings in small groups focusing specifically on ballet grades. Grade 3 is scheduled to start in May.